The turn of the decade from the 1980's to the 1990's truly signaled the end of what horror fans knew as the slasher craze. 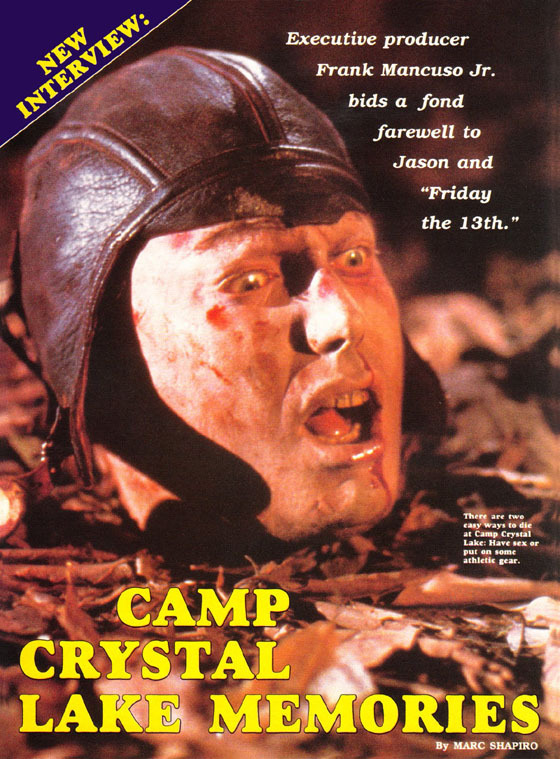 The late 80's had brought the war of the slasher icons such as Jason Voorhees, Freddy Kruger and Michael Myers to a head, but a new decade featured heavy censorship in film and Friday The 13th as we knew it was being neutered. 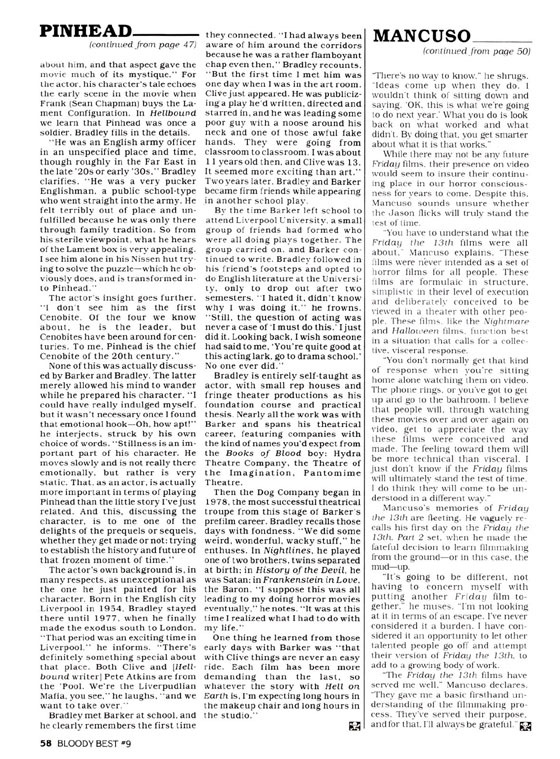 The heavy censoring of the MPAA and a change in audience's attitude toward horror films forced Paramount Pictures to make a tough decision. 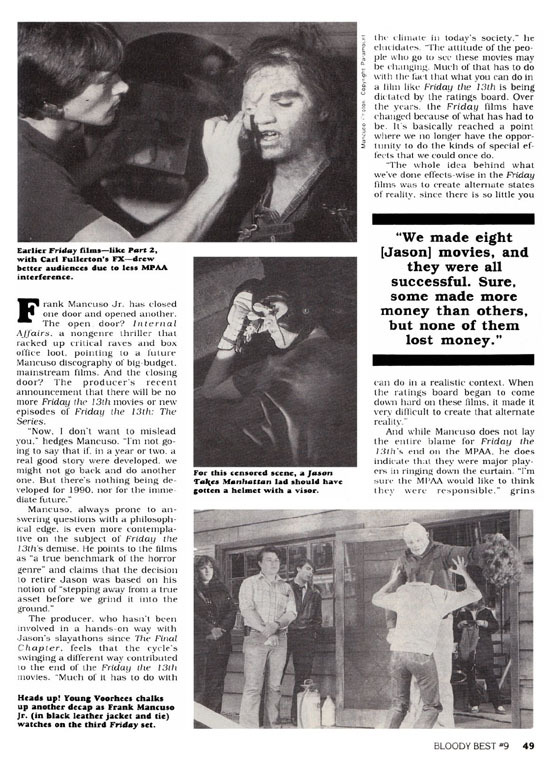 The Bloody Best of Fangoria #9 features an interesting interview with the mega producer Frank Mancuso Jr. where is outlines the reasons why Paramount decided to stop making Friday the 13th movies as well halting production on the cult genre show Friday The 13th: The Series. 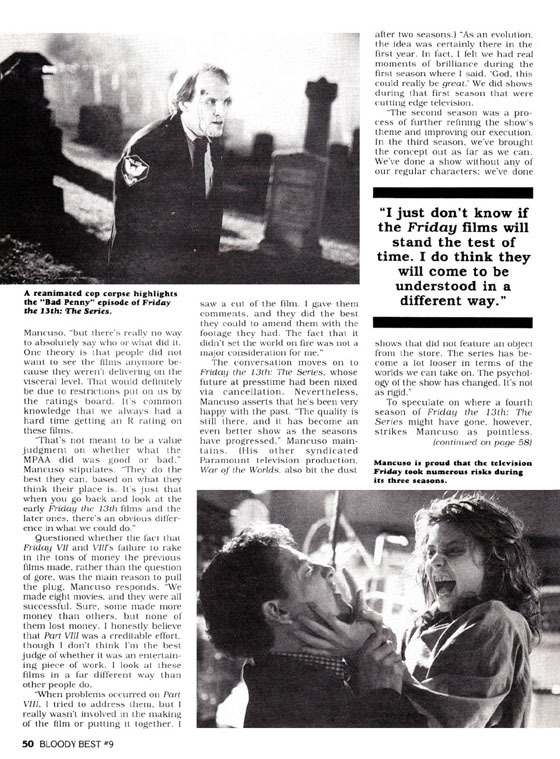 Of note in the interview from that time in 1990 is the fact that Mancuso proclaims that he is not sure if the Friday the 13th films would stand the test of time! Mancuso also goes on to explain in the interview that he didn't think people would be able to understand the concept of Friday the 13th by only experiencing the films on home video. He viewed the Jason Voorhees experience as something you watch in a theater with many of fans in an intense environment. Of course, home video viewing changed tremendously since the interview with Mancuso was published and the franchise really thrived once the World Wide Web became a major institution within everyone's lives. One has to wonder, if the Internet was never introduced to the world, would Friday The 13th and other horror films have had the longevity that their respective franchises have enjoyed?